There are very few daily activities that we share with early humans. The impulse to gather around a stone-ringed pit with a fire in the middle is one of them. Fire pits and fireplaces bring a sense of community to a group, as well as a place to keep warm and cook food. Today’s masonry fire pits are more stable and permanent than the ones that graced the cave vestibules of the past, but they maintain some key features. They are typically circular or square and are usually built at ground level for safety. We also have the option to plumb them to burn natural gas, although wood-burning pits remain very popular. 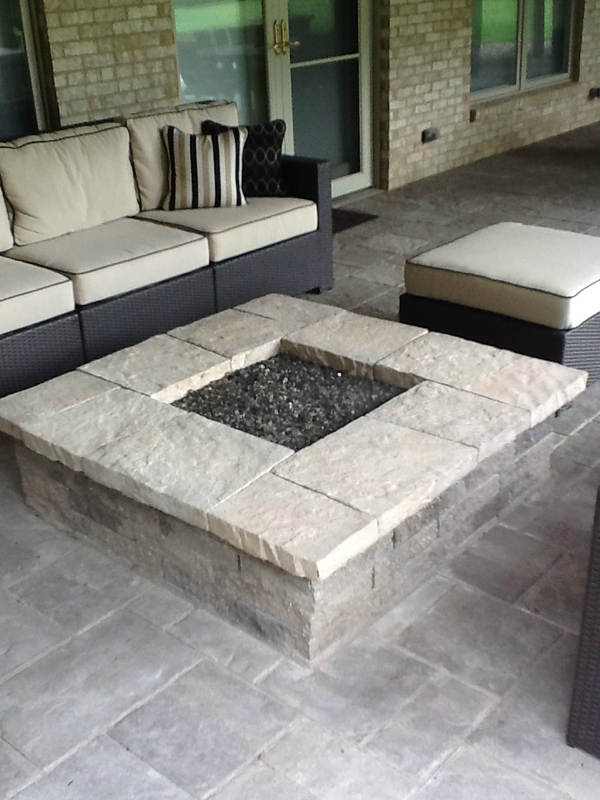 Gas fire pits are cheap, clean and easy to use, but cost more up front because a professional plumber will install the gas line, valves and igniters. We field many calls inquiring about outdoor fireplaces as well. They are significantly more expensive to install because they include a fire box, fireplace, hearth, mantle and veneer. Outdoor fireplace prices can vary widely depending on features like size and shape. Archadeck has completed outdoor fireplace projects starting in the $10,000 range, but larger projects cost more than $20,000. If you call for a free consultation, we can find out exactly what kind of finished outdoor living area you’ve been considering and give you a price for that project. All of the permanent fire features that we build are installed by a professional mason. They look great and comply with building codes to ensure safety. 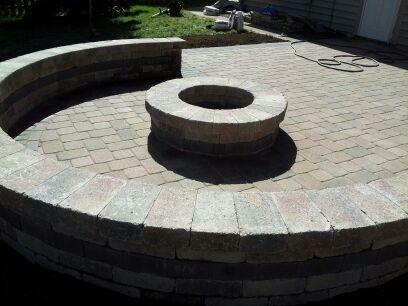 The mason can also build permanent seating around the pit or fireplace. Seat walls are a popular choice because they offer lots of flexibility for guests and help to visually define the space. Portable wood or propane fire pits are also available on the market if you want something you can move, but be careful to always position them a safe distance from your home or other buildings. Whether you fancy cooking rustic pizzas for your friends in wood-fired oven or see yourself roasting hotdogs and marshmallows with the kids on the patio around the fire pit, Archadeck of Columbus can help you extend your outdoor living season with the custom fire pit of your choice. You’ll enjoy the same benefits as the cavemen, but won’t have to lug those heavy rocks. Contact us for a free consultation to discuss your dreams for your outdoor space. Previous Previous post: Design your new porch around time with friends and family?